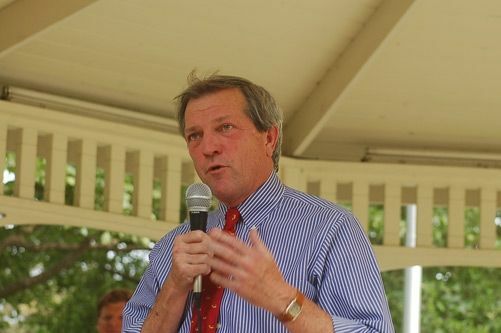 Congressman Mark DeSaulnier (CA-11) hold District Office Hours on Tuesday, May 29 at 5:30 p.m. in his Walnut Creek District Office. Space is limited, and appointments will be confirmed in the order they are received. To confirm attendance, constituents may RSVP online, and a member of Congressman DeSaulnier’s staff will be in touch to confirm appointments. For more information or if you need assistance with requesting a time, please contact our Walnut Creek office at 925-933-2660. Space is limited. Better hurry up and RSVP so you can listen to Mark bloviate and spew his mindless drivel! Got to pick up doggy dodo in the yard of a vacant house. All I need to do is find a vacant house. And Mark will be done by 5:31 PM and 5 seconds. “Good one!” wasn’t an original comment. It was a reply to an someone else’s comment. I guess it was deleted for some reason. I wonder why? He is up for re-election and you would do us all a monumental favor if you saw to it that he wasn’t. Mark DeSaulnier is on the ballot Tuesday June 5th. If you agree with him or not… now is your time to make a difference. Get out and vote. Chris Wood: wishes everyone excellent Health, abundant Joy, and unconditional Love. Sad but Mark is just a Democratic puppet, and a George Miller (I want to get rich) want to be. As expected the snarky comments are out, wonder how many of you have ever gone to meet with Mark or had the courage to ask him a question. You complain every time his name comes up, what do you do about it? Nothing! Talk is cheap. I want to see productive actions, and his are hurting CA. I have gone to his Town Hall, and found him to be a narcissist. Actually, I guess you could say I’ve “met” Mark DeSaulnier. I almost hit him once when he jogged in front of my car, and I later ran into him, so to speak, at Super Cuts at Ygnacio and Oak Grove. He said “Hello.” Super Cuts is that cheapo place where you get your hair cut, and I was a little surprised to see someone of his “celebrity” getting their hair cut at the six-buck haircut place. It was $6.00 at that time. Not terribly impressed … I must say. His only solution to things are, Resist Resist. Vote Him Out ! I will just click on the evening news and see what crap Nancy Pelosi is spewing. Why make an appointment with Mark when he will just repeat Pelosi’s talking points? He will get re-elected because there are simply more liberals then right thinkers in this area. We can’t win even if every republican voted.. don’t you know you live in the most socialist left leaning area of the country? This is not a time to give up and throw in the towel. We need votes out there and to fight it out,and the fact that there are more Rep and No Party Preference candidates shows people are fed up with what has gone on in CA. That said, who you all voting for? Liberals in Sacramento in concert with Governor Brown have put all our lives in danger giving illegals California Driver’s Licenses, and we see the results daily in the shocking increase in the number of hit and run accidents, and the sudden increase in the number of big-rig accidents on our freeways. We don’t need any other reasons to vote out every liberal serving office who supports the policy toward illegals being promoted in this state, and supported by our representatives in Washington. Live a longer, healthier life — vote DeSaulnier out and put an end to the dangerous policies promoted by liberals. Thanks! And you can add taxing us to death to pay for these GD illegal aliens. 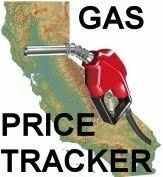 Gas tax increase of 40%, now they want more the bridges! Say GOODBYE to the Democrats and NO to RM3. PLEASE!